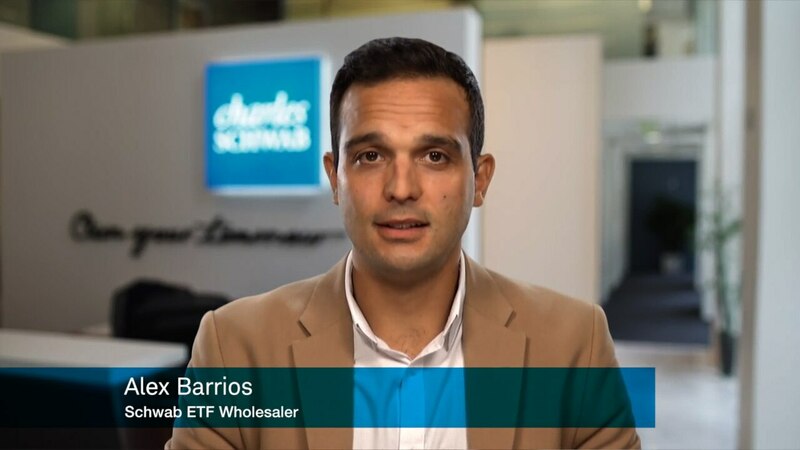 Contact Alex to learn more about Schwab ETFs™ our low cost foundational solutions. Investment returns will fluctuate and are subject to market volatility, so that an investor’s shares, when redeemed or sold, may be worth more or less than their original cost. Shares of ETFs are not individually redeemable directly with the ETF. Shares of ETFs are bought and sold at market price, which may be higher or lower than the net asset value (NAV). Charles Schwab Investment Management, Inc. (CSIM) is the investment advisor for Schwab Funds and Schwab ETFs. Schwab Funds are distributed by Charles Schwab & Co., Inc. (Schwab), Member SIPC. Schwab ETFs are distributed by SEI Investments Distribution Co. (SIDCO), One Freedom Valley Drive, Oaks, PA 19456. CSIM and Schwab, are separate but affiliated companies and subsidiaries of The Charles Schwab Corporation, and are not affiliated with SIDCO.